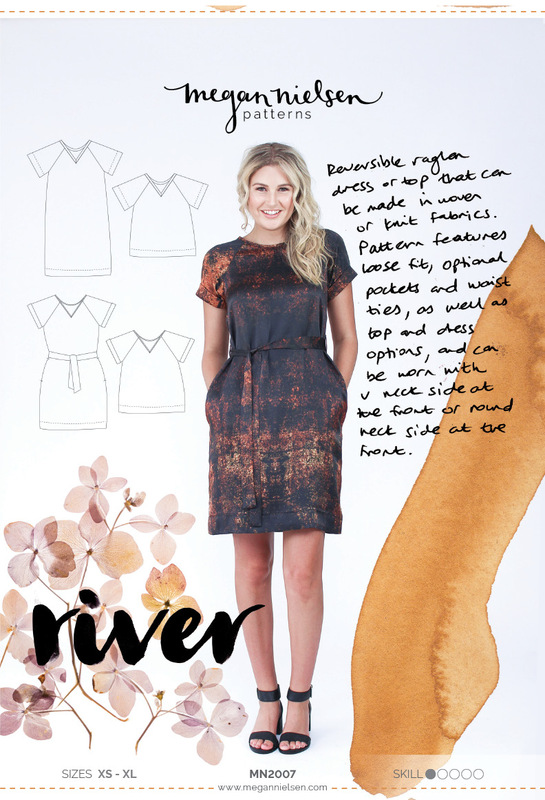 The great thing about River is that it is reversible! 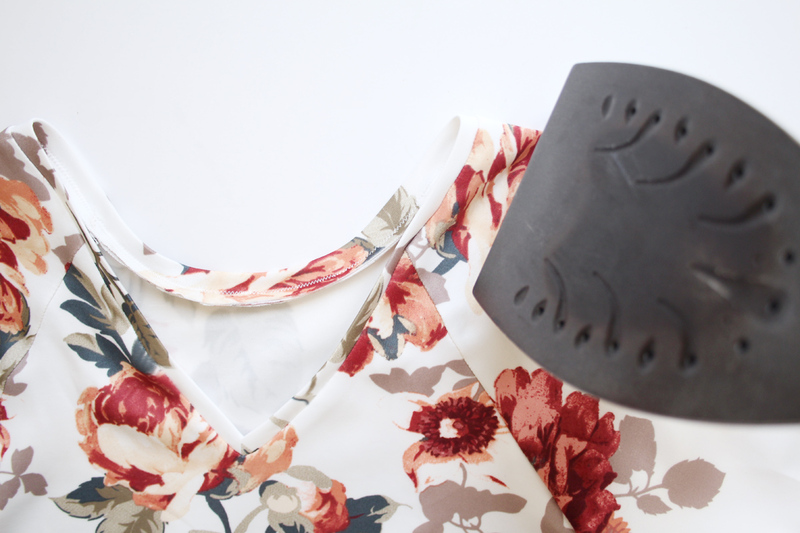 You can wear either the v-neck or rounded neck as the front, and both are great. 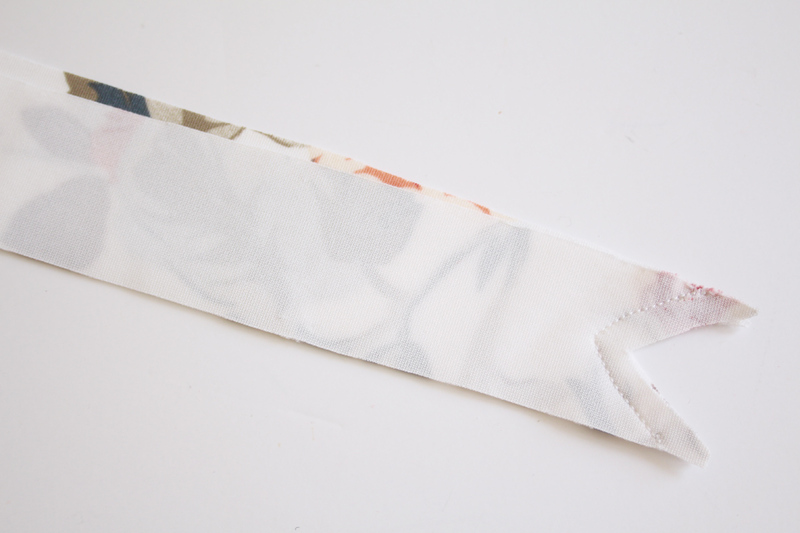 But you’ve got to get that neckband nice and neat to complete the look! Creating that V might look daunting, but I promise its really not. 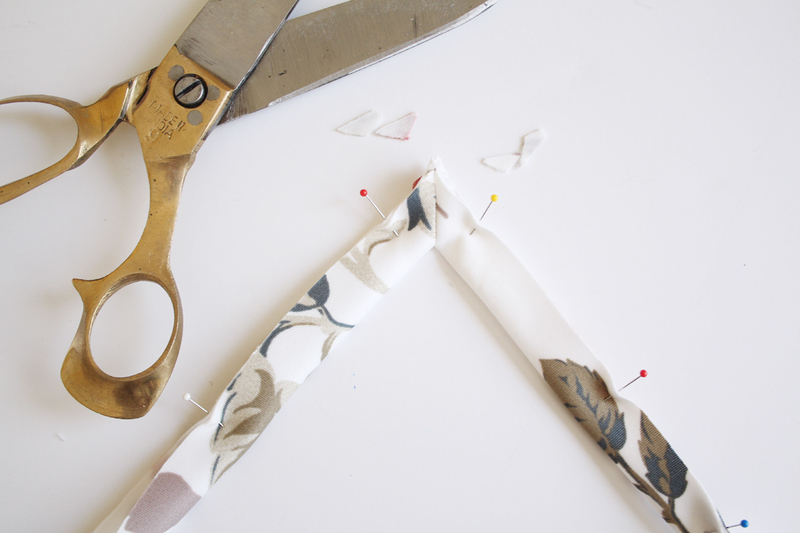 There are two different methods, depending on which version you are making. 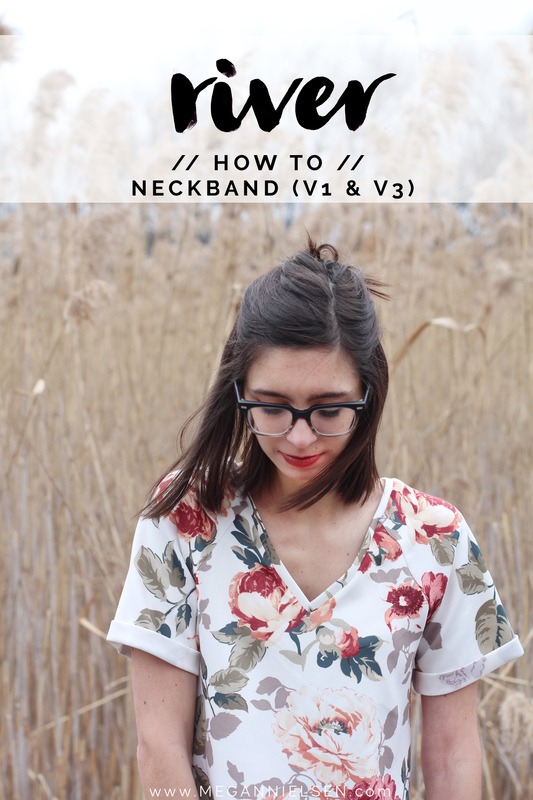 This method here is for the knit versions (V1 & V3) – the neckband. 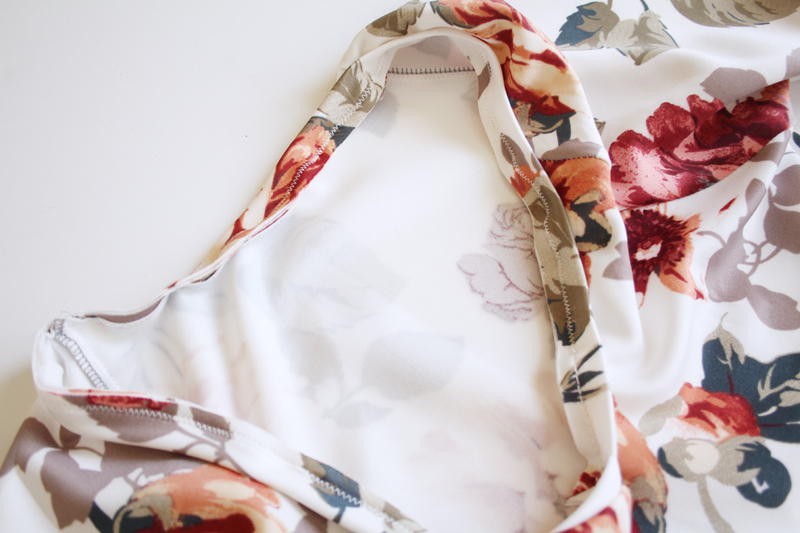 If you are making a woven version 2 or 4, check out the bias bound neckline tutorial! 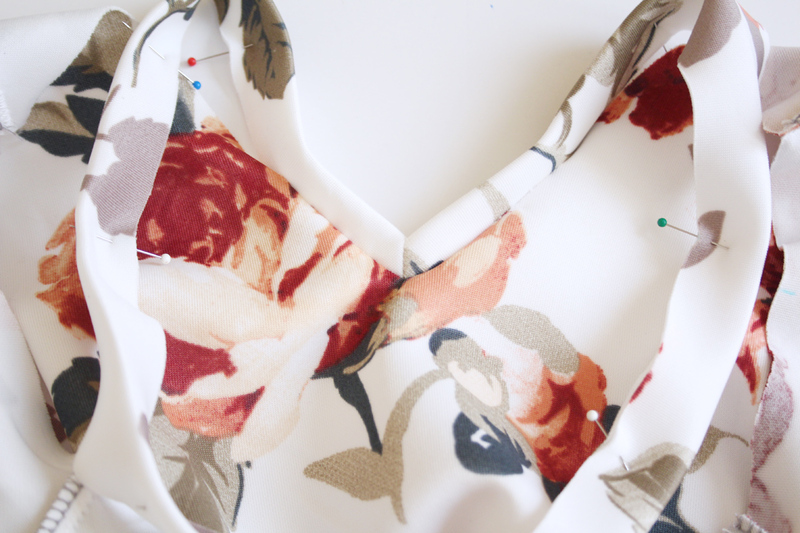 First, fold your neckband in half with right sides together, and sew around the V 1/4” from the edge. 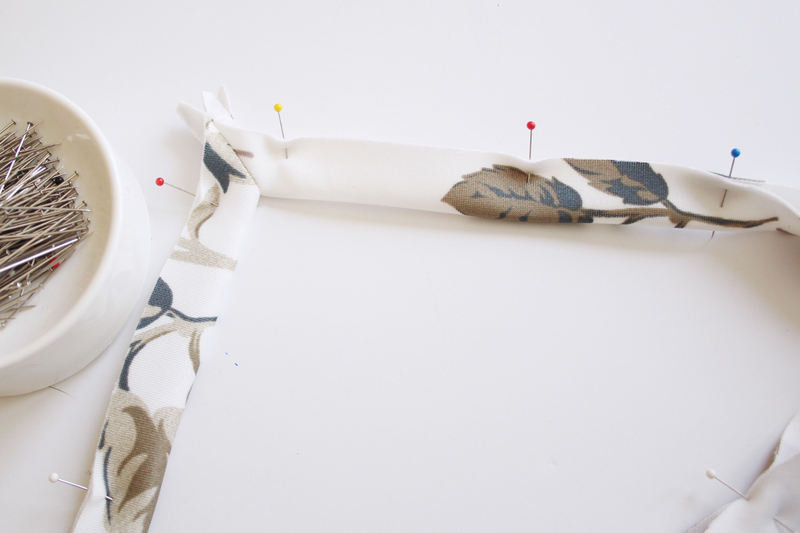 Even though this is for knits, do this with a straight stitch. 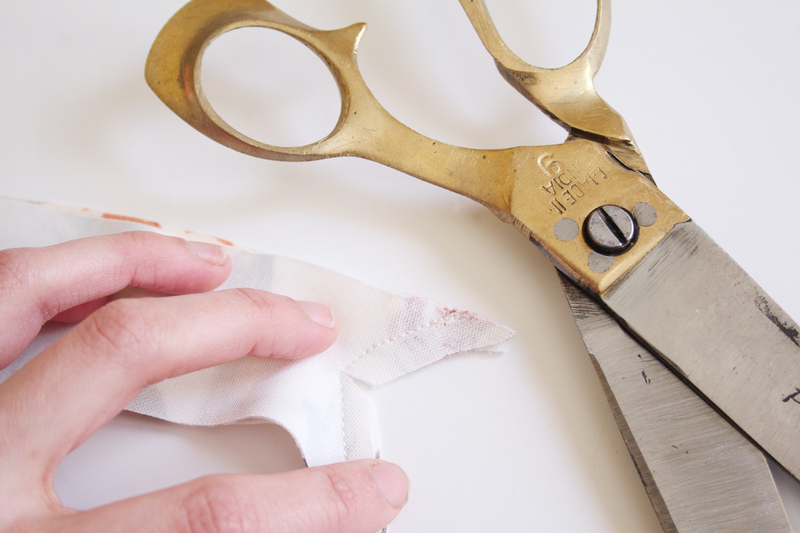 Clip into the corner of the V, making sure to come close to the stitches, but don’t cut through them. 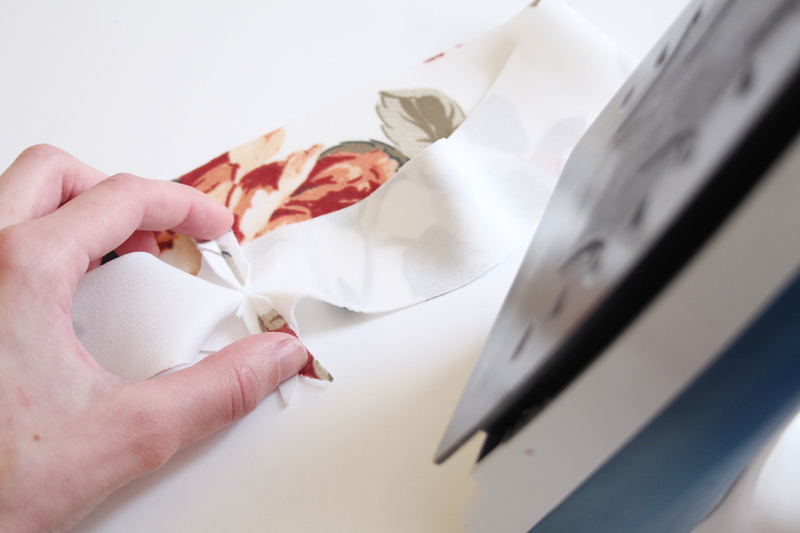 Fold the band together widthwise with wrong sides together. 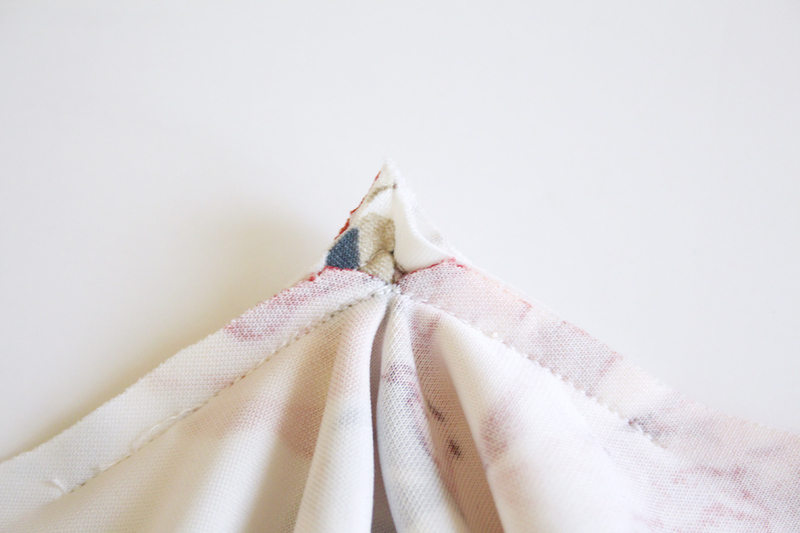 Make sure that seam at the center of the V is lined up, and that the raw edges are lined up all the way around. You can also clip off that excess at the V, too. 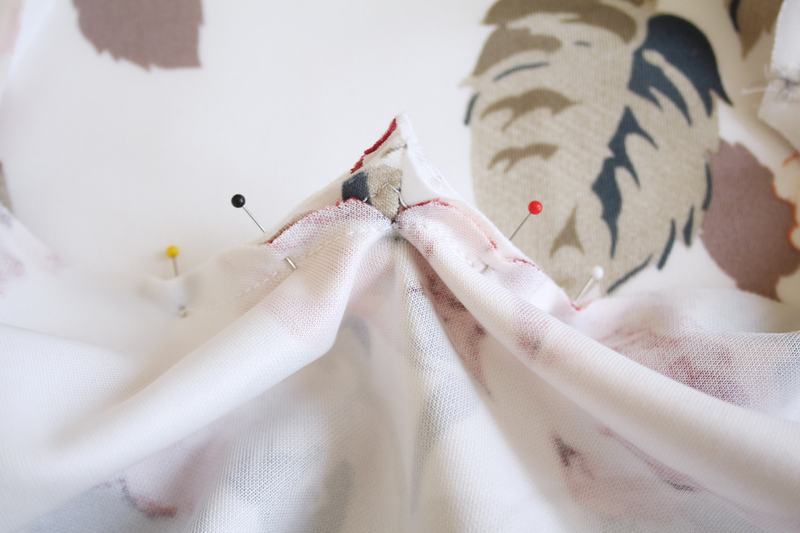 Still using a straight stitch, sew a line of basting stitches 1/4” from the raw edge. You only have to go a couple of inches up on either side of the V.
Now go to the v-neck side of your bodice. 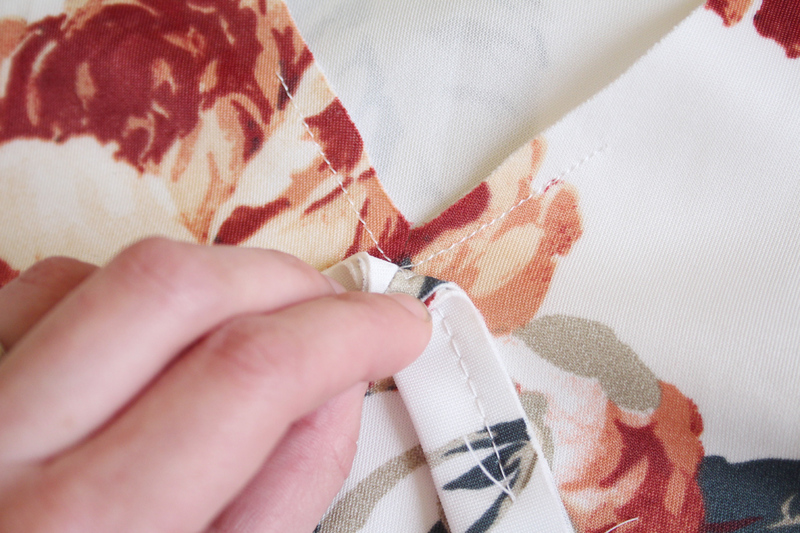 Sew 1/4” from the raw edge with a straight stitch, going 2” on either side of the v-neck. 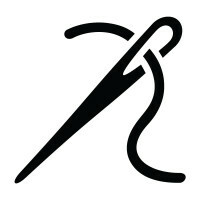 Clip into the V, making sure not to cut into the stitches. 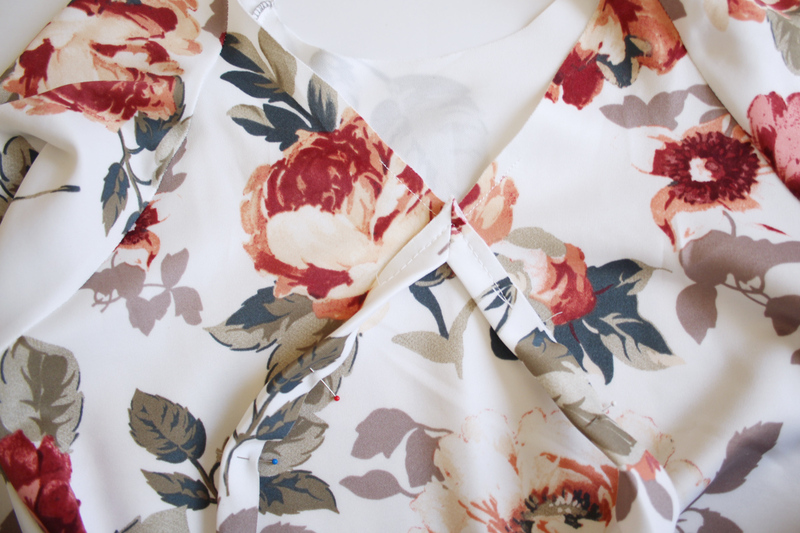 Place the neckband on top of the V neckline with right sides together. As I’m trying to show in the second photo above, you want to line up the V point of the stitches, not the raw edges, if that makes sense. 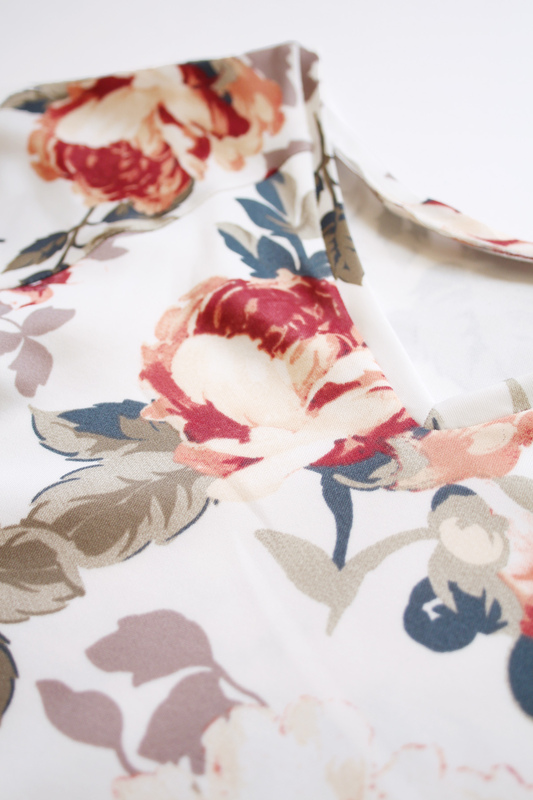 Now you need to start pinning the rest of the neckline to the neckband. To do this, spread the neckline open and straight where you clipped it, so that it lines up with the edge of the neckband. It’s easiest to do this from the wrong side so that you can see what you are doing better. I’ve shown you from both sides above so you can see what it will look like. Still using a straight stitch, sew together 1/4” from the raw edge. Only do this 2” on either side of the V.
Now continue pinning the neckband to the neckline the entire way around, matching up the notches. 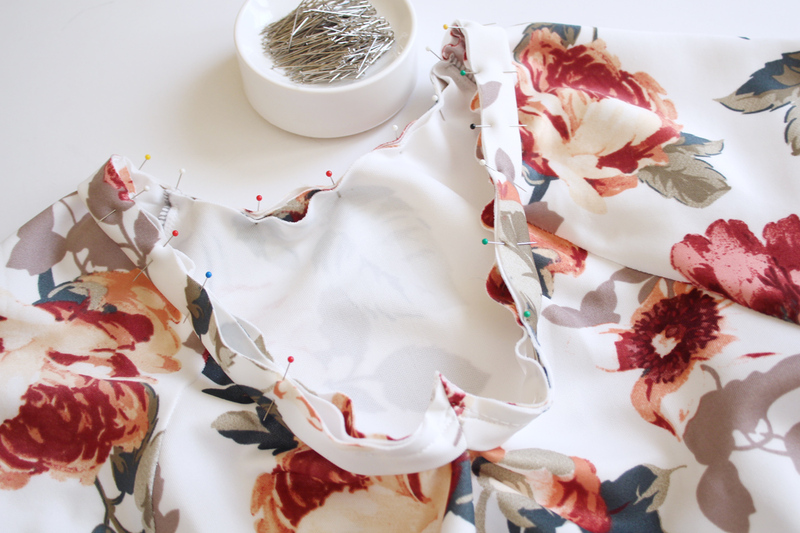 The neckband will be slightly smaller, so you need to stretch it as you pin to line it up. 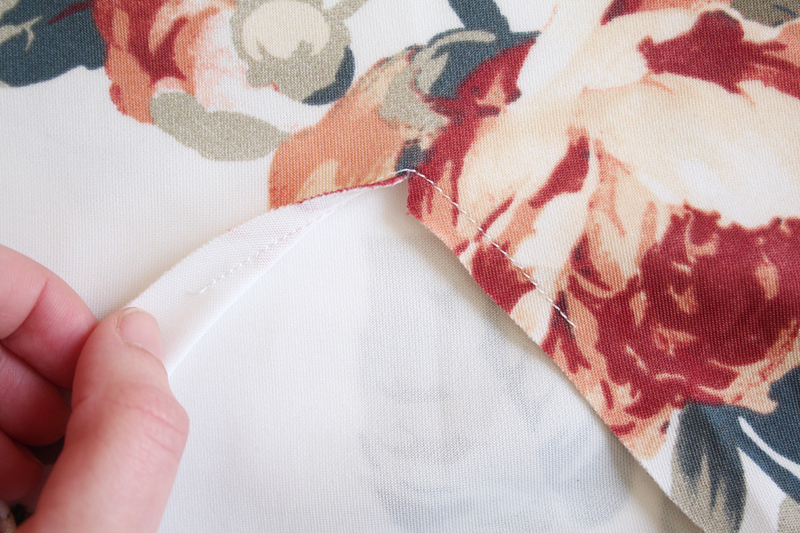 Sew the rest of the band/neckline together 1/4” from the edge, using a zig zag stitch or serger. Again, you’ll need to stretch as you go. 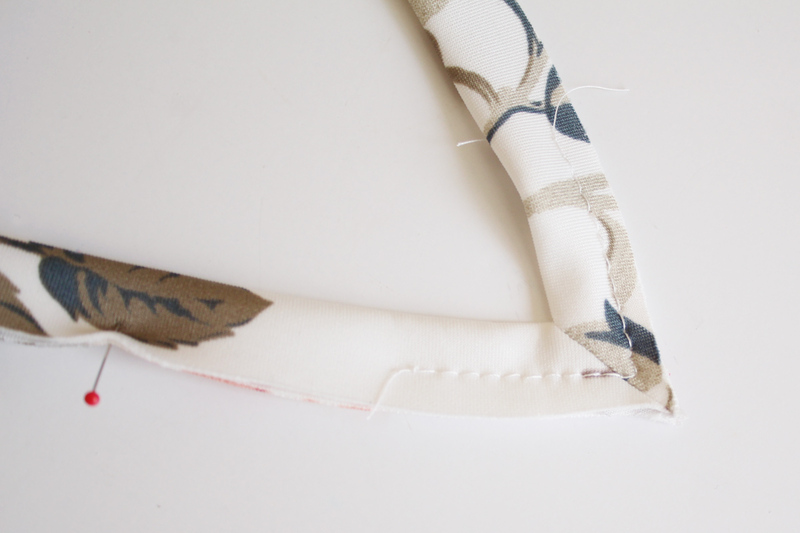 Press the seam towards the body and away from the neckband. And press well! 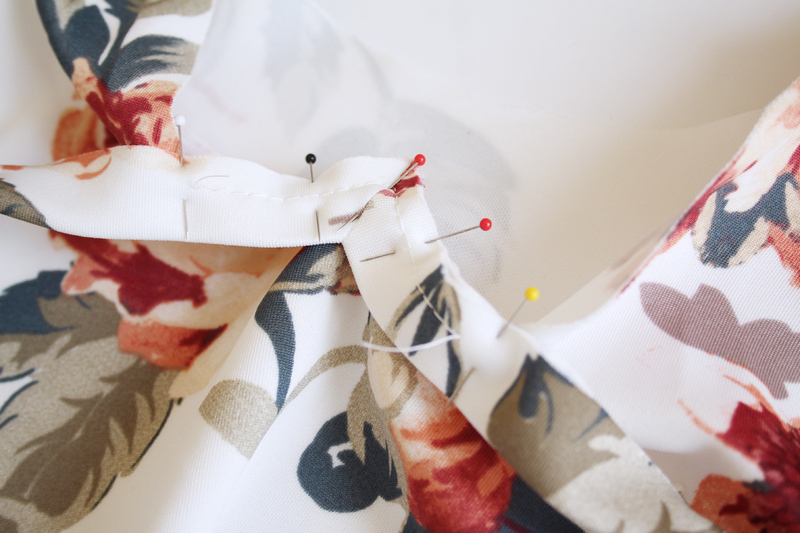 Optional (which I didn’t do here) – you could finish it off with some topstitching on the bodice, close to the seam. This would help it lay flat if you are having issues with that! Ta-daaaaaa! A nice, neat knit neckband.